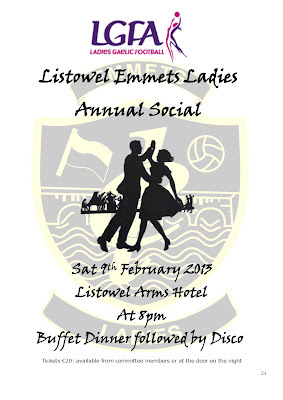 Emmets Ladies Social will take place on Saturday 9th February in the Listowel Arms Hotel at 8pm. Buffet Dinner will be provided followed by Disco. Tickets are on sale at €20 from committee members or on the door on the night, please support.